Look what came in the mail today! 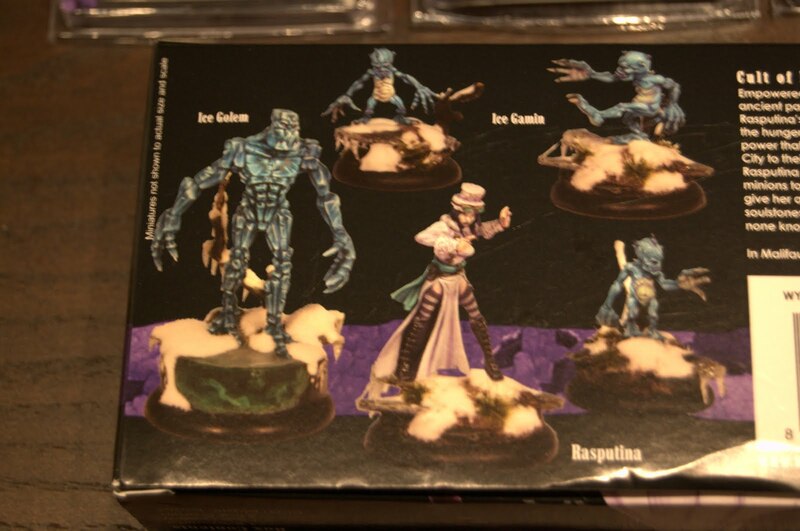 My first Malifaux crew from the Arcanists faction, the Cult of December. A while back my friend took me through a couple demo games and I really enjoyed it. The back story is engrossing, the models are beautiful, and the poker deck mechanic (instead of dice) is incredibly fun. The rules are also very solid and straightforward. If you've done any wargaming before you'll pick this game up quickly. I wanted to get my own crew after that first night of playing, but a lot of distractions got in the way. I'm still finishing things up for my 40k NOVA list but really hoping to be done with that this week (knock on wood). But after that I'll be moving fast to get this war-band on the table and painted up. 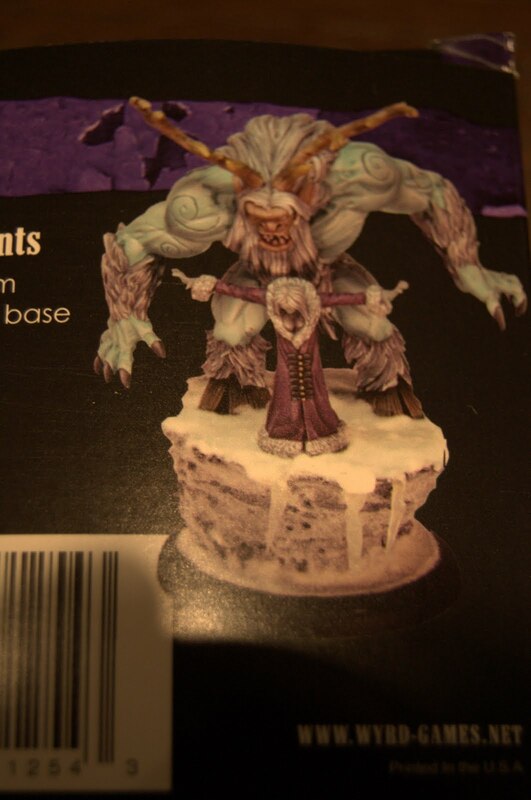 I'm really looking forward to painting these models, especially since they are snow/ice themed. 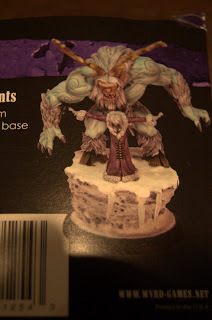 I've got these awesome bases from Dragonforge in the mail which I think will go well with these models. The hardest part is deciding which faction to play. 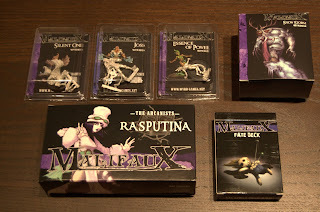 Here's a great Malifaux resource for learning more about the game and all the great factions & characters within. 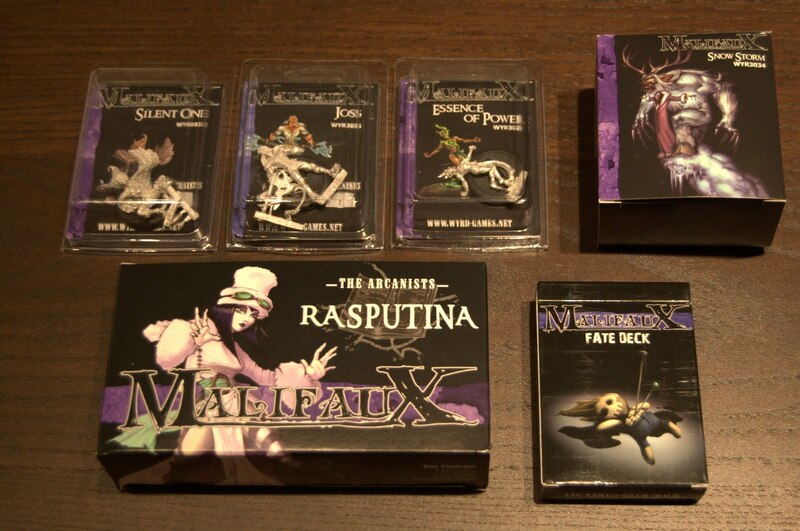 It's great to see another Malifaux newbie, look forward to reading more. Raspy is a fab master and you seemto have picked great support models for her. You can have some real fun building her ice pillars too! @Julian: That's what I hear, I originally picked this crew based on their aesthetic but then started reading about how powerful they are. I'm excited! @Dark Templar: Thanks! I'm really looking forward to diving head first into this game. I definitely had some help in selecting some of those support characters. I also have to say, the other day when I came across your blog it was the final reminder/inspiration for me to finally pull the trigger and place my order - so thank you for that nudge and also for such a great blog!